The following was written by Hilde Maingay and published as a letter to the editor in the Falmouth Enterprise, May 2, 2014. Have you heard it over and over? But just because sewers are a “proven technology” that does not mean that they have proven to be good. But sewers do not …. *Between 2005 and 2014, the Falmouth Wastewater Treatment Facility has needed $22.5 million for repairs and upgrades, and about $15 million for O&M. The plant only services 700 parcels. Thus it costs $32,143 per parcel over ten years just for the repairs & upgrades, and about $21,428 per parcel for O&M. That is $53,571/parcel over a ten-year period. So why do we never hear about these huge costs to treat the waste of only about 700 parcels? Because most of those costs are hidden in our real estate taxes, paid by ALL the Falmouth taxpayers. 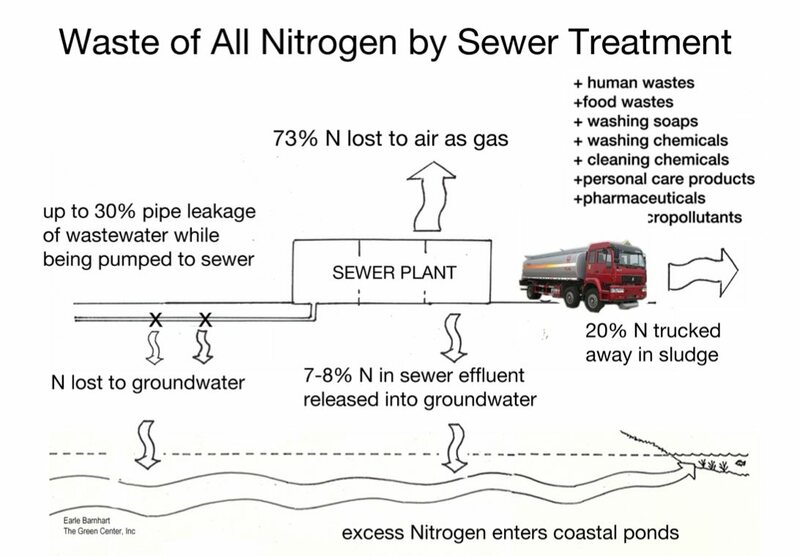 Even if it were half that much, it would be an outrageous expense for a “treatment” facility, which only gets rid of 73% of the nitrogen. 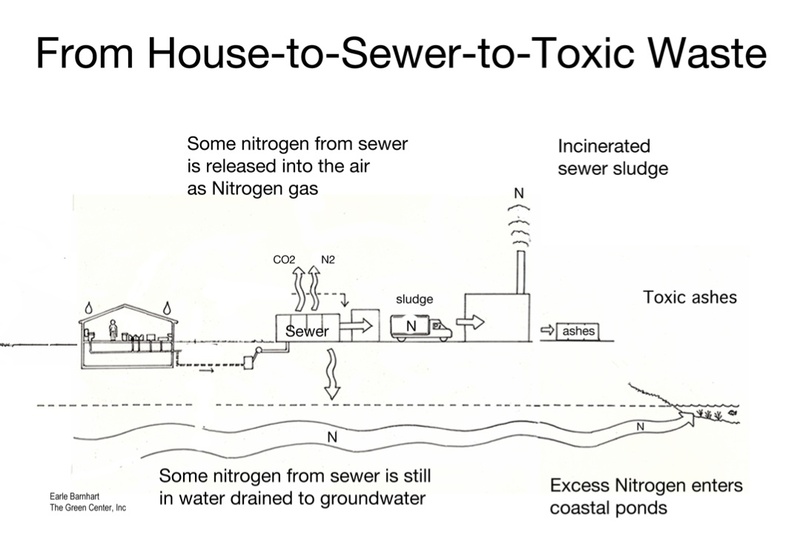 The rest of the nitrogen goes “away” by dumping it back into the ground or shipping it over the bridge as sludge, mixed with all the phosphorus, other nutrients, heavy metals, pharmaceuticals and other toxic pollutants. Nitrogen is manufactured with fossil fuels and phosphorus is mined from rapidly dwindling non-renewable deposits. Both nitrogen and phosphorus are essential nutrients for food production. Wait for future costs for the next upgrade, and the next, and the next. The next upgrade of our treatment plant will be to recover the phosphorus, and the following upgrade will be to reduce heavy metals, then pharmaceuticals and then other contaminants of concern (CECs). So if we think we can ‘afford’ to add more proven sewer technology, think again: we can’t afford the sewer we already have! 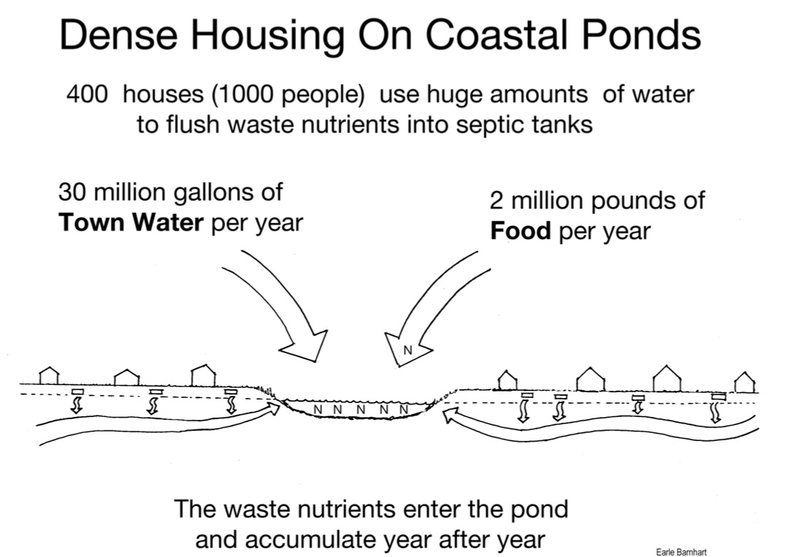 Sewering has proven to be extremely expensive and simply moves materials to other watersheds, to pollute water, air, and land somewhere else. Is that really the kind of ‘proven’ technology we want? 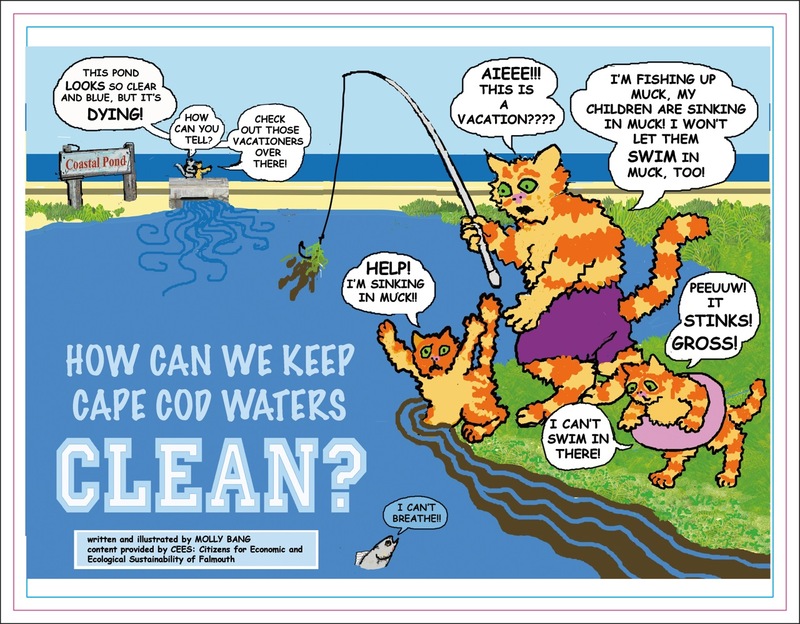 Please vote No on Question # 1 and let’s focus first on natural system technologies that can clean our water, recover the nutrients and remediate our aquatic eco-systems faster, better, cheaper and more sustainably.